A right well-worth fighting for. The Future Generation wind turbine project at cranberry grower Keith Mann’s Head of the Bay tract in South Plymouth may be hauled into superior court, likely in Barnstable. The Bourne Board of Health is asking selectmen to authorize Town Counsel Robert S. Troy to request a court injunction — expressly to halt wind-farm construction. In another respect, an injunction — should it be granted — might serve to shift some Cape Cod anti-turbine sentiment from Falmouth to Bourne. Indeed, a Falmouth resident urged the Bourne health board on Nov. 18 not to let the Head of the Bay wind farm happen. Good to see Future Generation playing the role of responsible corporate citizen there! Obviously falling over itself to cooperate with the body charged with looking after the health of citizens. What the wind industry fears most are actions like those being taken by the Bourne Board of Health and individuals out to protect their common law rights to live free of interference from turbine noise and vibration. What is fairly obvious to any human being gifted with our good friends ‘logic’ and ‘reason’ is that if you deprive someone of sleep over an extended period, their health will suffer. Alive to the critical importance of regular, quality sleep to health, the common law has recognised a person’s right to a decent night’s sleep in their own home for over two centuries. Nuisance is a long recognised tort (civil wrong) at common law based on the wrongful interference with a landowner’s rights to the reasonable use and enjoyment of their land. Negligence is not an element of nuisance, although aspects of the former may overlap with the latter. Where, as here, the conduct is intentional (ie the operation of the wind turbines is a deliberate act) liability is strict and will not be avoided by the defendant showing that it has taken all reasonable steps to avoid the nuisance created. Indeed, the conduct of the defendant is largely irrelevant (unless malice is alleged); the emphasis is on the defendant’s invasion of the neighbouring landowner’s interests. A defendant will have committed the tort of nuisance when they are held to be responsible for an act indirectly causing physical injury to land or substantially interfering with the use or enjoyment of land or of an interest in land, where, in the light of all the surrounding circumstances, this injury or interference is held to be unreasonable. The usual remedy for nuisance is an injunction restraining the defendant from the further creation or continuance of the nuisance. 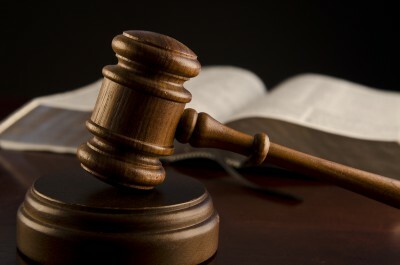 Injunctions are discretionary, in all cases, and will not be granted unless the nuisance caused is significant. Where interference with the enjoyment of land is alleged, the interference must be “substantial” and not trivial. Interference from noise will be substantial, even if only temporary in duration, if it causes any interference with the plaintiff’s sleep. The loss of even one night’s sleep through excessive noise has been repeatedly held to be substantial and not trivial in this sense (see Andreae v Selfridge & Co  3 All ER 255 at 261, quoted with approval in Munro v Dairies Ltd  VLR 332 at 335; Kidman v Page  St R Qd 53 at 59; see also Halsey v Esso Petroleum Co Ltd  1 WLR 683 at 701: “a man is entitled to sleep during the night in his own house”). Halsey’s case is well worth a read – a real “David and Goliath” battle, as described by the trial Judge: “This is a case, if ever there was one, of the little man asking for the protection of the law against the activities of a large and powerful neighbour.” And just like David’s epic battle with a thuggish giant, the little bloke won! Precisely the same principles were at work in the case pursued by Julian and Jane Davis, who successfully obtained a £2 million out of court settlement from a wind farm operator, for noise nuisance; and the resultant loss of property value (the home became uninhabitable due to low-frequency noise, infrasound and vibration). The common law also recognises the ability to prevent a neighbour from building a noise generation source that will inevitably cause nuisance (with what is called a quia timet injunction). The rule is based on the common sense principle that it’s easier and fairer to keep wild horses corralled, than it is to round them up once they’ve bolted. One pertinent example is Grasso v Love  VR 163 (available here). The Full Court of the Supreme Court of Victoria upheld the trial judge’s decision to grant a quia timet injunction to prevent the construction of a Drive-in Theatre which a developer was planning to build right next to the plaintiffs’ home. The injunction was granted on the basis that the noise created by the Drive-in at night-time (noise from the speakers, loud voices, banging car doors, engines starting and tooting horns) would be heard within the plaintiffs’ home and, therefore, cause a very substantial degree of interference with the use and enjoyment of their home. On the basis of the noise likely to be created, the threat of nuisance to the plaintiffs was substantial and, accordingly, they were entitled to an injunction stopping the developer from building his Drive-in, as proposed. What the growing band of individuals – like Julian and Jane Davis – are relying upon to protect their health, wealth and happiness are the rights that citizens of civilised societies have fought over centuries to establish and maintain (think Magna Carta and all that). STT is heartened that outfits like the Bourne Board of Health are in there fighting to protect those very same rights. As an observer of the manner in which governments and those within its organs who are paid handsomely to do just that have, instead, sided with the wind industry in wantonly destroying those rights and, worse still, derided its victims, STT says about jolly time. But don’t expect the venal who supp from the same subsidy trough to take up the cudgels on your behalf any time soon. Oh no, the only guaranteed defender of your own rights is you. Freedom from noise nuisance (and the ability to sleep in your own home) isn’t a “concern”; it’s a hard-won legal “right” – that’s been upheld against the mighty, rich and powerful for close to 200 hundred years. The wind industry is – with knowing assistance from your very own governments – more than prepared to simply trample on those rights and, in doing so, to literally steal what’s yours from under you. Don’t let them take what’s rightfully yours without a fight; and don’t sit back and leave it to someone else. These are your homes, your families and your rights – fight for them. There’s a judge just waiting to hear from you. upholding rights for a couple of centuries, now. Jane and Julian Davis suffered sleep interruption, deleterious health effects and intolerable nuisance due to the operation of RePower MM 82s wind turbine generators – the same screeching, whistling, whirring, thumping, clunking, low frequency/ infrasound emitting machines of misery that Pacific Hydro operate and cause nuisance at Cape Bridgewater! Coincidence?